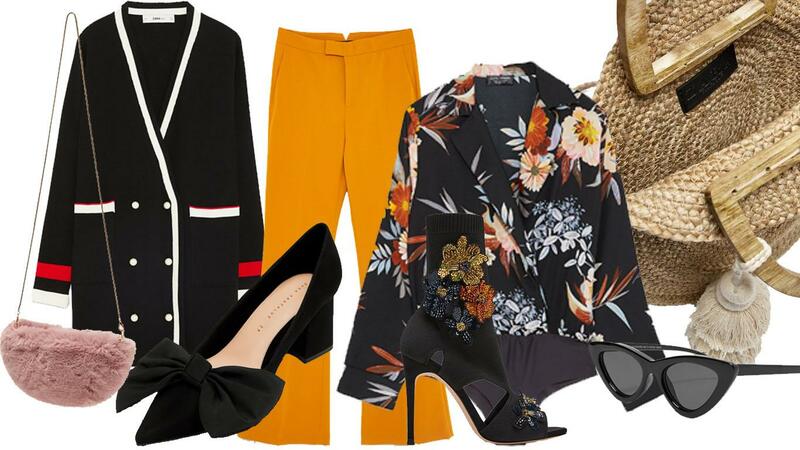 I'm absolutely loving everything Zara has to offer at the moment and I currently have these items sat in my shopping basket that I'm considering buying for the Spring, so I thought I'd share with you guys what my favourite pieces from the site are. I think that those mustard trousers and that floral bodysuit will go so well together but I just need a special occasion to go to or perhaps somewhere in the Mediterranean 😉 I am so into anything inspired by the 60's and I'm so frustrated that those sunnies have sold out already because I was going to get them. I will have to get the tortoise shell ones instead! Ah anyway, it feels too early to even start thinking about the Spring when it's so cold here but I noticed the morning's getting a little lighter this morning so there's hope it will arrive sooner rather than later! Tonight, I'm putting together some of our stuff for the road trip and tomorrow we get the camper van so I'll show you that tomorrow. Have a nice evening, love L.